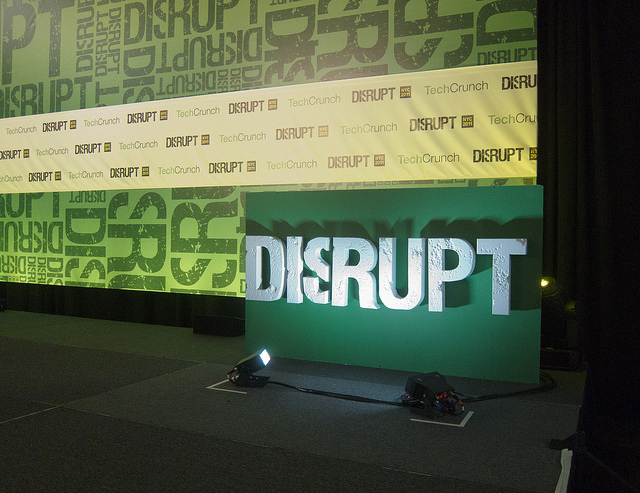 TechCrunch’s Disrupt conference this year might have been most notable for the forced departure of Michael Arrington from the blog he founded, but the conference remained a platform for arrivals of new companies, eager for venture capital, new users and eventually riches. It’s always professionally treacherous to predict which startups will take off, but here’s our favorites from the conference. Take it more as a suggestion of some things to try out, not as a cheat sheet for eager angel investors. Bitcasa – The promise is simple: $10 a month for unlimited storage. The idea is that Bitcasa replaces your local file system with infinite cloud storage, using your hard drive only to store the content you use most. The promise is great, but it suffers from the same dependence on a continual connection as Google’s Chrome OS does. The service, in an invite-only beta, looks promising — though it’s not clear how the company will be able to handle those who actually take its infinite storage promise seriously or how it will convince people to switch from Dropbox. Tonara – Think of it as sheet music for the iPad generation. Tonara is an iPad app that can map your keyboard pounding to the right place on the sheet music, and then magically flip the page at the right point. Married to a store selling sheet music, it’s pretty clear that something interactive like this will do to sheet music what Kindle did to hardback books. TechCrunch’s panel of judges were dubious of the size of the market, but our guess is this company will be quietly have its tip jar filled high as it plays a requiem for sheet music anthologies. Trello – Trello is a simple, powerful and free tool for team collaboration from well-known programmer/entrepreneur Joel Spolsky at Fog Creek Software. Projects are broken down into “cards”, which can be assigned to team members, with to-do lists on each. Team members can see the entire board, keeping an eye on who is working on what, and what the progress of the project is. It’s akin to Basecamp and Pivotal Tracker, both online services popular with software teams, but Trello’s intended to be useful for all sorts of project management, from class projects to running a company. Expect this to be widely popular as its free features are hard to pass up and premium features are expected in the future. OpenBucks – It’s a common enough situation — you’re given a gift card for your birthday or Christmas, redeemable only at a store you’d never be caught dead in. Enter: OpenBucks, a clever solution that can turn your crappy cards into online gold — literally. The company essentially allows you to take the unused cards and convert them to virtual currency, which you’re able to spend on certain online games. So if you aren’t into using your Subway card for a BLT, for instance, you could buy your in-game character a fancy new virtual sword. It sounds silly, but the concept is targeted at the perfect market — an entire generation of game-playing tweens who wouldn’t otherwise have access to a credit card. Right now OpenBucks has only partnered with six retailers and eight online gaming sites, but the potential is huge if the concept takes off. CakeHealth – Insurance companies want to screw you, plain and simple. Documentation is intentionally convoluted, deductibles and out of pocket maximums are difficult to keep track of. CakeHealth aims to cut through the confusion of dealing with health care. Enter your provider and personal enrollment information, and the service acts as a financial planner that keeps track of your activity throughout the year. From warnings on potential billing errors to knowing exactly how much you’ve paid into meeting your deductible, it’s a clear dashboard amid confusing noise. There’s an added bonus for mobile users — forgetting your insurance card at home is no longer an issue. With the iPhone app, you’ll never leave home without it. TalkTo – Perfect for the socially inept or those who just can’t be bothered to make phone calls, TalkTo’s app lets you use your Android or iPhone to send text messages to local businesses. Why not just e-mail? The idea, TalkTo says, is that while getting in touch via e-mails may work well for one business, another may prefer being @mentioned via Twitter (though I can’t imagine why). Further, if a business has the app running throughout the day, it can respond to customers as needed without having to deal with voice mail. Think of it as an answering machine for text messages. Try to text a business the app hasn’t heard of, and a TalkTo call center rep will actually contact the business to try and get it to sign up. A novel approach to growth, although it hardly seems scalable without lots of manpower. It’s in private beta now, but the company is taking invite requests on its web site. Prism Skylabs: Prism wants to revolutinize how businesses use their security cameras. With technology that plugs itself into a business’s network, Prism makes the video shareable in high quality from anywhere — but also blurring people’s faces or bodies to protect privacy. The benefit for stores? A Google Analytics-like dashboard giving insights on when a store is busy and how much foot traffic it has . For us schmoes, we’ll be able to see if there’s a free table at the corner cafe via streaming, but anonymized, video that could be put on sites like Yelp. It may not be clear exactly how Prism will get big, but they’ve got real technology and a solid team of entrepreneurs.